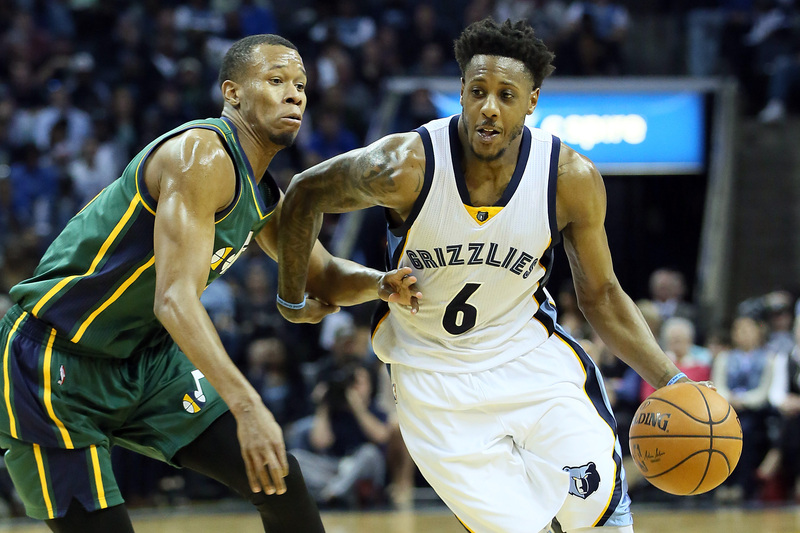 As the Utah Jazz look to patch up their weaknesses and bolster their roster for a playoff run, they should be open to keeping an eye on these five free agents. 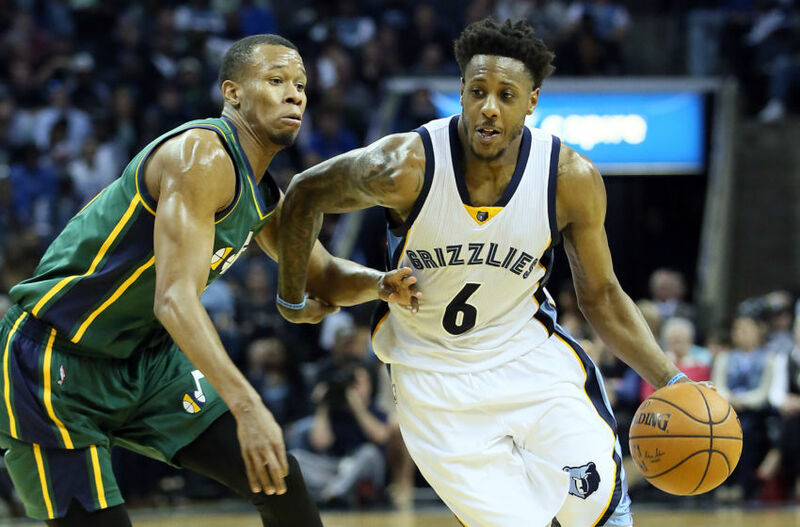 Until recently, the Utah Jazz have faced struggles all season long with their backup point guard and power forward positions. However, against the Charlotte Hornets, Joe Johnson who was inserted at the four played tremendously and on Monday against the Atlanta Hawks, Derrick Favors was phenomenal, posting his best game of the season. Dante Exum, who many expected to be the full time backup point guard but has struggled up to this point, finally had an impactful game in Saturday’s bout against Charlotte as well. So hopefully the Jazz’s woes will resolve themselves sooner rather than later as those two guys in particular – Derrick Favors and Dante Exum – step it up and take their game to the next level. Yet given that their bad has heavily outweighed the good for the most part this season and that a lot remains to be seen whether or not Utah’s issues in those aforementioned areas can be patched up with their current roster, it wouldn’t hurt for the Jazz to keep their eyes peeled among the free agent market for guys who could potentially be a fit to add some depth and/or experience. Both Shelvin Mack and Raul Neto have apparently worked themselves out of the rotation and given that the Jazz have four point guards at the moment, it would seem quite logical that one of them could be cut to add the required space if the situation so called for it, especially if it were in a move that would make Utah even better. So while perhaps the Jazz organization may deem it unnecessary to add any current free agents and will feel confident that Exum and Favors’ improvements will be enough to patch their holes, I still think they should be open to considering the following players and look into adding one of them if the right opportunity presents itself. Mario Chalmers’ comeback attempt was well publicized as he was one of four players who tried out for the Cleveland Cavaliers as the team looked to fulfill LeBron James’ plea of adding a playmaker. 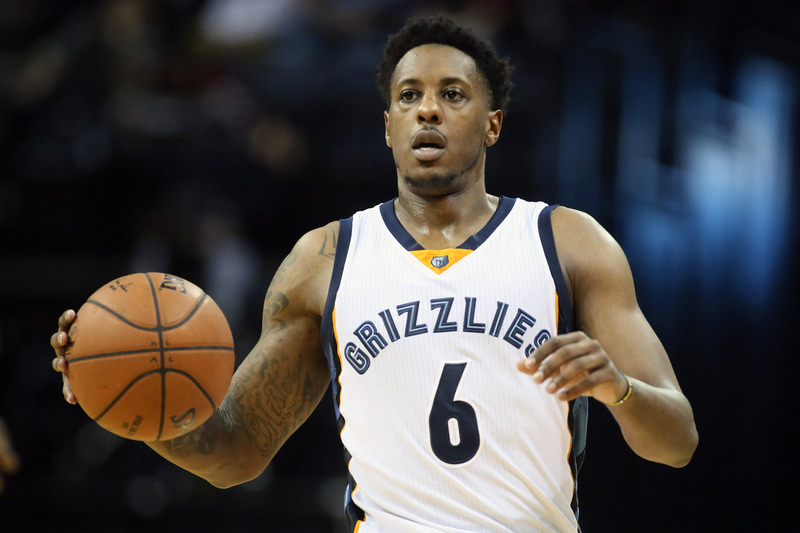 The Cavs have yet to make any sort of move there, so Chalmers is definitely still available at this point. Chalmers isn’t an overly impressive point guard, but he has a significant amount of experience having played alongside LeBron James in each of the Miami Heat’s most recent championship appearances. 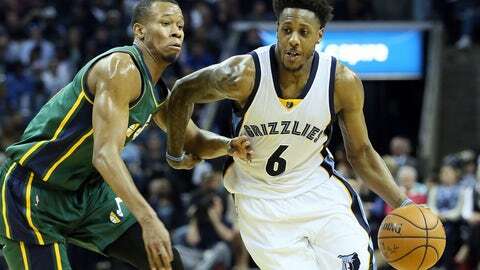 As a two-time NBA Champion himself, Chalmers is more than capable of running the point for a spectacular offense and would be a capable addition off the bench for the Jazz. He’s a solid finisher around the rim and was good for nearly ten points per game during his most influential years with the Heat and could likewise help bring some spark and flow to Utah’s second unit. And considering how disappointing Utah’s reserve point guards have been this season, it would certainly be nice to at least have someone who has performed well enough to play a role in helping his team achieve on the highest stage. 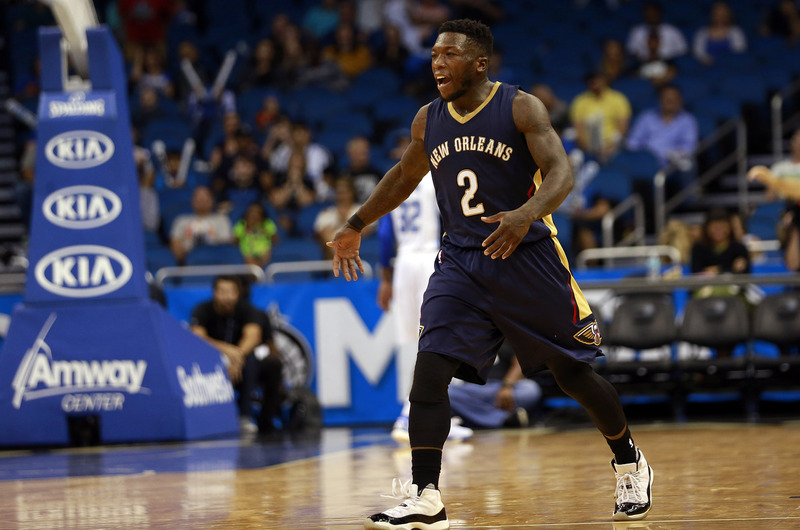 Fellow Purple and Blues writer Ryan Aston already covered in detail the idea of bringing Nate Robinson on board to ease Utah’s backup point guard struggles and I certainly agree that he has the potential to be a good fit and is a guy that Jazz brass should keep their eyes on. Say what you will about Robinson, but he has always been a player who gives 110 percent. He’s been a formidable backup with nearly every team he’s played for and has a determination and athleticism that have helped him perform above what many thought was possible. If the Jazz were to add him, more than anything he would be a phenomenal spark plug off the bench, bringing energy and hustle much like Trevor Booker did last season, only Nate would do it while filling a desperately needed role as a backup point guard. 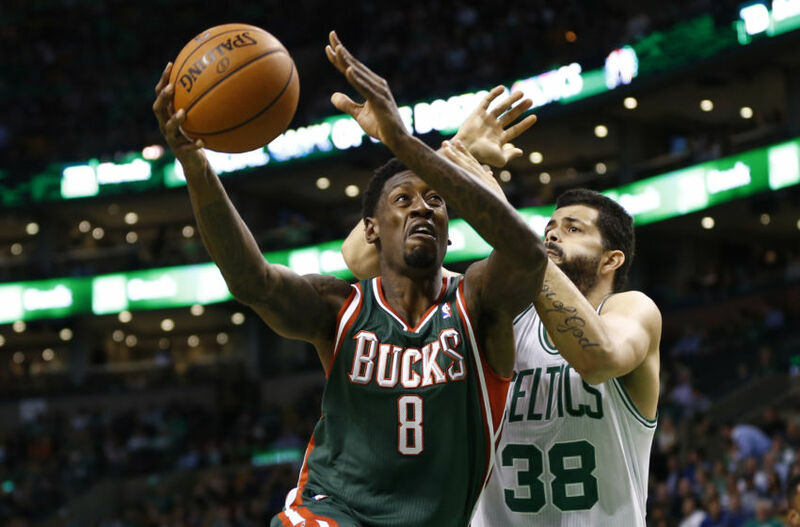 He’s also put up some big scoring games over the course of his career and has significant playoff experience with both Boston and Chicago so there are certainly a lot of positives that he would bring off the bench as a member of the Utah Jazz. After being cut by the Atlanta Hawks earlier in the year, Jarrett Jack is another player who is reportedly seeking to make an NBA comeback. 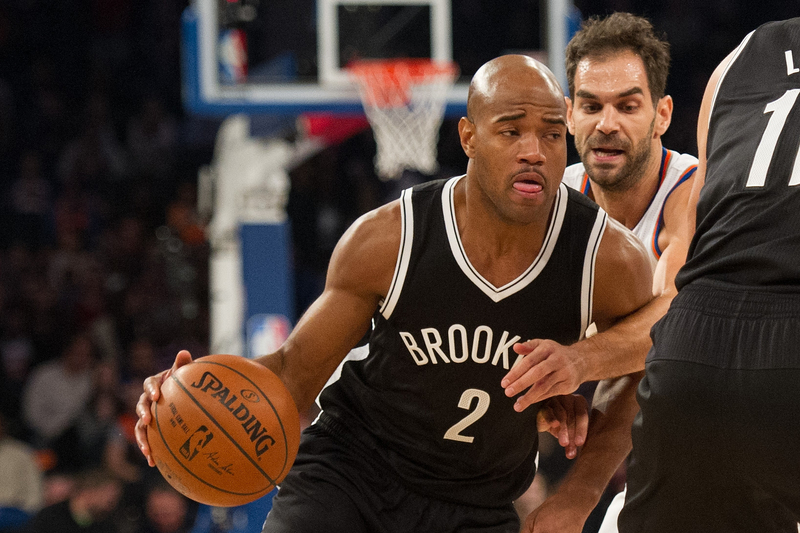 In his last year in Brooklyn during the 2015-16 season, Jack put up an impressive 12.8 points and a career-high 7.4 assists per game. His ability to set up his teammates for open shots as well as his craftiness for finding his own shot had made him an absolute commodity for teams prior to his lingering knee issues. If Jack has recovered well and is regaining any portion of his former quickness, he could work absolute wonders for the Jazz off the bench. He has been a solid albeit unheralded role player for years most notably as a backup for the Golden State Warriors in the 2012-13 season. That year he averaged 12.9 points per game while shooting 45.2 percent from the field and 40.4 percent from deep and came up huge for them in the playoffs by putting up 17.2 points per game. Yes, that was quite a few years back now, but Jack has a unique combination of skills and experience along with a veteran toughness and savvy understanding of the game that would allow him to be a critical piece of Utah’s bench unit moving forward. Carl Landry, who is also reportedly seeking an NBA comeback, was once one of my favorite under-the-radar guys in the league solely because of his relentless effort and hustle. Particularly in his early career with Houston and Sacramento, he was a guy that wouldn’t blow you away every night, but would consistently put up sneaky good games and do the little things to help his team win. In a lot of ways, Landry reminds me of a poor man’s Paul Millsap. Though not as skilled, he’s similar in that he’s an undersized power forward but is crafty and determined enough to contribute on both ends of the floor while also being a decent rebounder. Along with Jarrett Jack, Landry was one of the key role players on that 2012-13 Warriors squad that paved the way for Golden State to become the team they are today. Given Utah’s struggles at the power forward position this season, a guy like Landry who simply plays hard and does what is asked of him could be just what the doctor ordered. While the hope is that Derrick Favors gets his mojo back and becomes the formidable starter he’s capable of being, Landry could still be a fit off the bench particularly when considering the inconsistencies that Trey Lyles and Boris Diaw have exhibited this season. Landry wouldn’t necessarily be a fix-all at the power forward spot, but he would add some depth and insurance to an area that has been weak for the Jazz. Finally, one of the best things about Landry throughout his career has been his ability to accept his role whatever it may be. That would be an enormously helpful trait for him on this Jazz squad as his minutes could very well fluctuate depending on who Utah is playing or which of his teammates may be struggling on any given night. 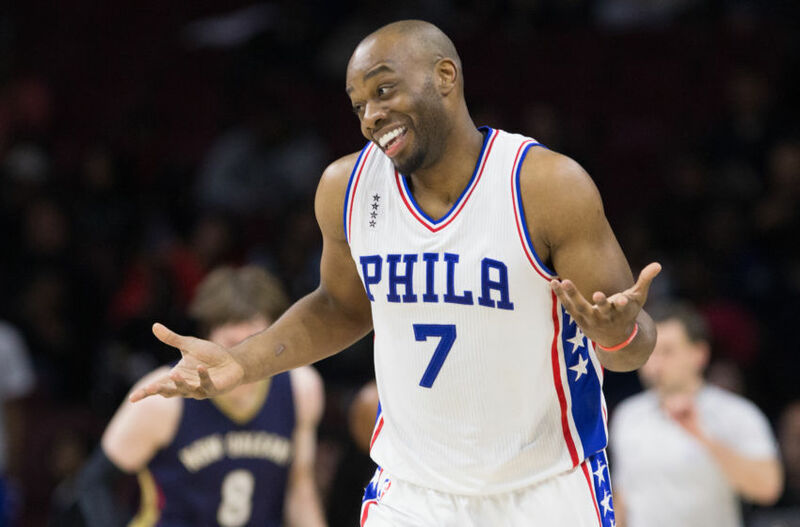 Thus if Utah wants to add someone who gives them depth, flexibility, hustle and experience, then Carl Landry could be an excellent free agent acquisition. 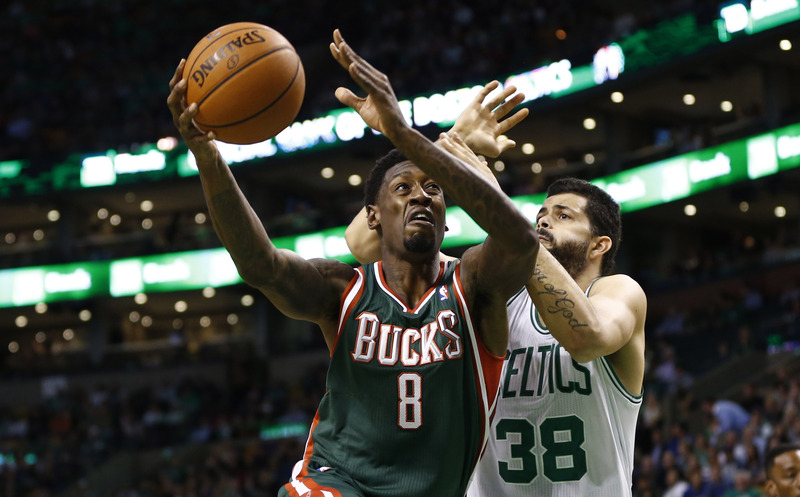 Larry Sanders is a guy that I mentioned recently as a possible fix for Utah’s frontcourt woes given that he is also looking to make his NBA comeback. Although he’s a center, a more formidable backup at that position could be quite helpful for the Jazz. Obviously Rudy Gobert has been phenomenal all season long, but Utah’s defense takes a notable hit whenever he’s on the bench. Favors is capable of playing at the center position when Rudy isn’t in the game, but it isn’t necessarily his most comfortable position. Not to mention, with the number of games Favors has missed due to injury as well as those that he’s been on a minutes restriction or simply hasn’t performed well, it would be nice for the Jazz to be able to turn to a true backup center that’s more talented than Jeff Withey. Of course there are several questions surrounding Sanders’ attitude and focus, but from a pure talent standpoint, he was formerly one of the league’s better rim protectors and could potentially be an awesome fit in Utah’s defense. He has the athleticism and the size to pose a true threat to opposing teams, so if his head is in the right place, he’s definitely a guy worthy of a second look given Utah’s lack of a commanding bench presence at the center position. In closing, it’s definitely hard to find much to complain about given how well the Utah Jazz have played this season as they boast a 33-19 record and the fourth seed in the West. Nevertheless, that record hasn’t come without its struggles and it’s evident that there’s still some significant areas where Utah has room for improvement. Of course, first and foremost the hope will be that as Favors and Exum elevate their game, this Utah team as a whole will be able to patch those holes. Nevertheless, given both of their struggles up to this point in the season, Jazz brass shouldn’t be opposed to looking elsewhere for additional help. With a slew of formidable free agent veterans, such as the ones I mentioned here, looking for a chance to prove that they truly belong in this league and being wiling to do it all if a team will only give them a chance, there’s a great chance that the Jazz could find themselves a diamond in the rough.